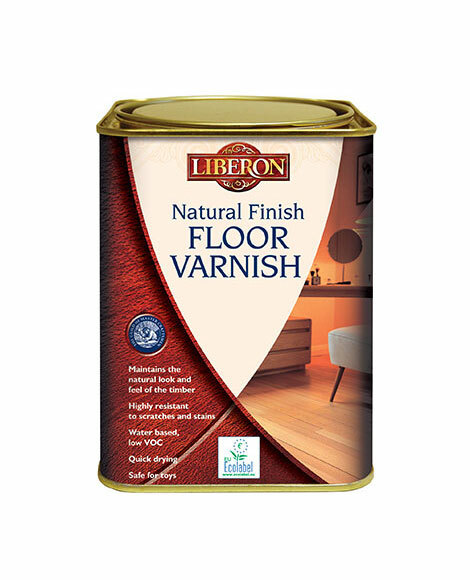 Natural Finish Floor Varnish is a hard-wearing and long-lasting varnish ideal for use on soft or hard interior wood flooring. A water-based varnish with a non-yellowing and quick drying formula, it maintains the natural look and feel of the timber and is highly resistant to scratches and stains. It also maybe mixed with Liberon Palette Wood Dyes to create unique colour tones. Remove all previous finishes, and ensure the floor surface is clean, dry and dust-free. If colouring the wood, apply Liberon Wood Floor Dye to the timber before varnishing, or add Liberon Wood Floor Dye to the varnish to create unique colour tones. 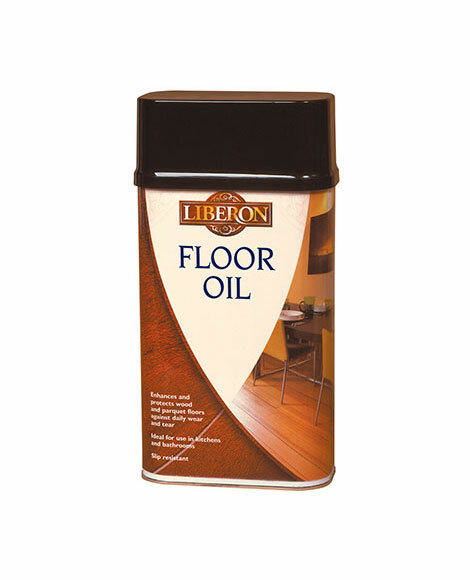 Add 250ml Liberon Wood Floor Dye to one 2.5L tin of Natural Finish Floor Varnish. Shake/stir well before use. Apply a reasonable coat of varnish evenly using a paint brush or short hair roller and allow to dry for a minimum of two hours before applying further coats. We recommend a minimum of three coats are applied, sanding lightly between coats if required. More coats may be required for heavy traffic areas. Allow the final coat of varnish a minimum of 24 hours drying time before using the floor. Always test the product on a spare surface or inconspicuous area for colour compatibility and end result. Product may slightly darken some woods. Wipe any spills immediately. For general maintenance wipe over with a damp mop or cloth using a mild detergent if required. 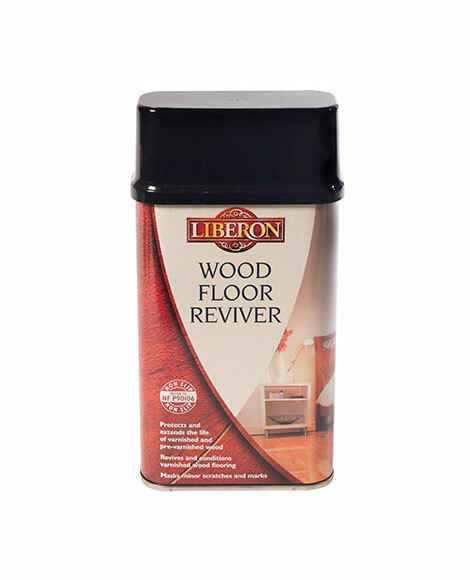 If the surface shows signs of wear, re-apply a coat of varnish or coat with Liberon Wood Floor Reviver. Allow all wood dyes to dry for a minimum of eight hours before applying Natural Finish Floor Varnish. Care must be taken on the application of the first coat of Natural Finish Floor Varnish when being used over Liberon Wood Floor Dye. Keep brush strokes to a minimum as over brushing may lift out the colour. The varnish may raise the grain on some hard woods. Do not exceed a 10% solution of Natural Finish Floor Varnish with Liberon Floor Dye (250ml dye to 2.5L varnish). Natural Finish Floor Varnish is not suitable for applying over an oil based sealer. For a more durable finish, we recommend Liberon Wood Floor Dye is only added to the varnish for the first coat and that subsequent coats are varnish only. Do not mix with solvent based dyes.